Tax records are often used to gauge the concentration of wealth and income in a society. However, if the rich dodge taxes more than the poor, tax records will underestimate inequality. 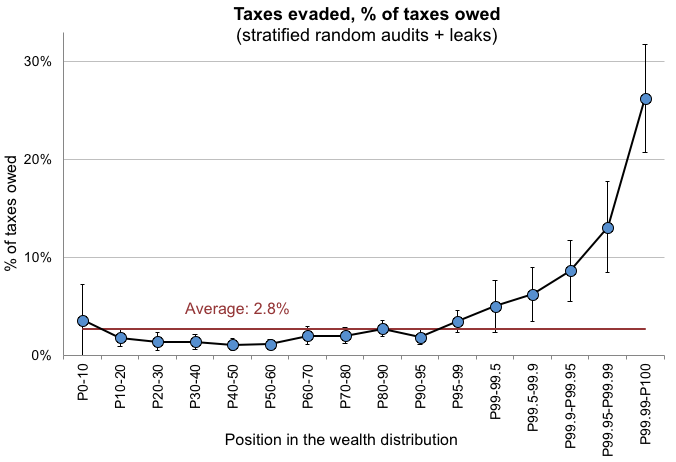 This column uses Scandinavia as an example to demonstrate how tax evasion varies with wealth: the top 0.01% richest households in Scandinavia evade about 25% of the taxes they owe by concealing assets and investment income abroad. The very rich are able to do this simply because they have access to wealth concealment services. To reduce top-end evasion, it what is essential is to shrink the supply of such services.